YOU SURE KNOW WHAT YOU WANT! It's time for a re-run and the Nova kit is, by far, what everyone has been asking for. MAKE IT COUNT VAPERS, USE THE INCREASE CHANCES FEATURES AS MUCH AS YOU CAN! 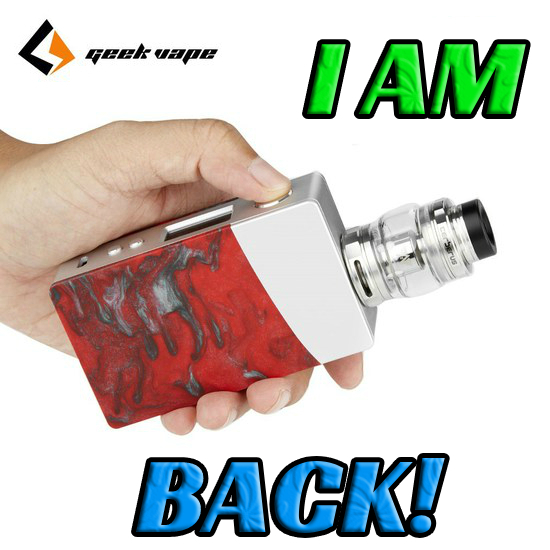 The winner of the lottery #1096 for THE LEGEND IS BACK: GEEK VAPE NOVA WITH CERBERUS TANK was Federica Happillon from Laon, France on Nov 21, 2018. GeekVape presents the Nova 200W Box Mod and Cerberus Sub-Ohm Tank Starter Kit, a mod that features the versatile AS Chipset and smooth stainless steel and resin design. 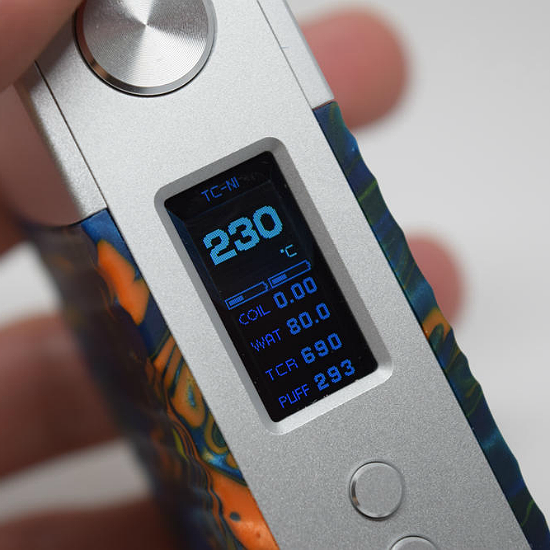 The AS chipset that powers the Nova 200W Box Mod has wattage output mode, temperature control mode, bypass mode, TCR mode and a variable power curve mode. The wattage output mode has a range of 5 to 200W, an atomizer range of 0.05 to 3.0 ohm, and 0.5 to 12V range. The AS Chip's temperature control suite is compatible with Ni200, Ti10, and SS316 and has a temperature range of 200 to 600 degrees Fahrenheit. The Nova 200W box mod uses two 18650 batteries that can be accessed through a magnetic battery access panel with a notch on the corner for easy access. The micro USB port is capable of up to 2A charging and is firmware upgradeable. The three button control interface has has an over-sized firing button and two adjustment buttons. The Nova has a 0.96 inch OLED display that neatly shows all the necessary information a user needs, along with three color schemes to choose from. The Nova box mod has a 510 gold plated, spring loaded connection. Please don't visit our sponsor, www.antitpd.com - they expect nothing in return for sponsoring these giveaways. The GeekVape Cerberus 27mm Sub-Ohm Tank has a 5.5ml bubble glass capacity, 4ml standard glass capacity, and comes pre-installed with the 0.2 ohm X1 Super Mesh Coil that has a wattage range of 30 to 90W and is best used at 60 to 80W. 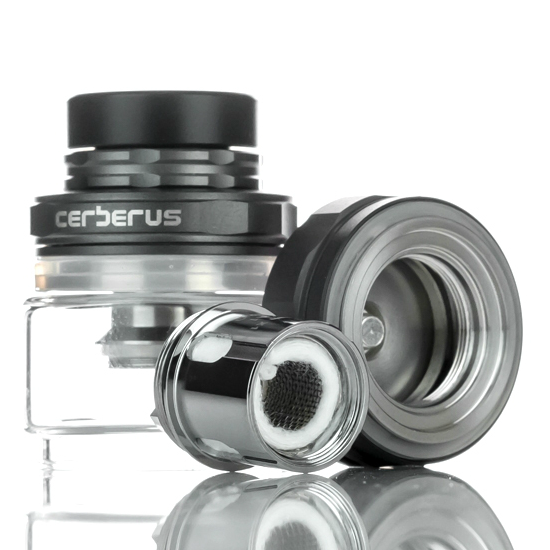 The Cerberus is compatible with TFV8 Baby Beast Replacement Coils. The E-Liquid can be refilled with a simple twist-lock top cap. This Sub-ohm tank has dual adjustable 13mm by 2mm air slots and a 810 Wide 8mm Bore drip tip. 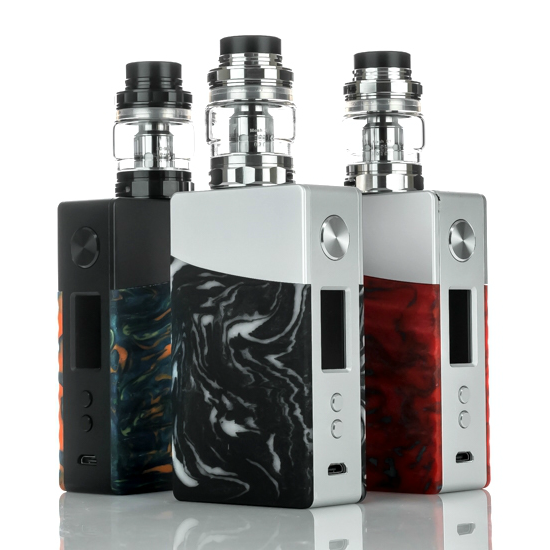 The GeekVape Nova 200W Starter Kit is an excellent kit overall with a wide array of replacement coil options and a hard hitting device with a sleek finish!